In 2015, Assembly Bill No. 165 (AB 165) was passed and signed into law by Governor Sandoval. This established the Nevada Educational Choice Scholarship Program, which allows qualifying families to receive grants to pay for private school tuition and fees. Currently approved are five Scholarship Granting Organizations (SGOs) to which parents can apply for funding. Pupils must be members of a household that has a household income not more than 300 percent of the federally designated level signifying poverty. Federal 2017 Poverty Guidelines. Participants must qualify and reapply for a grant each year. In 2016-2017 grants of up to $7,763 were awarded to students for private school tuition and fees. Tax scholarships are open to all income-qualified pupils whether currently attending private or public schools as well as those in home school scenarios. Want to apply for 1 or more Scholarship Grant(s)? Review the Federal 2017 Poverty Guidelines and multiply the poverty income for your household size by 3. Compare that amount to your household income (gross). If your income is, equal or less than the product when you multiplied your child will be eligible. Please visit the SGO Information page to review the Registered Scholarship Grant Organizations list of each participating entity and guidelines on completing application for each. NOTE: These organizations are completely independent of one another and authorize their own scholarships. Additionally, each organization has its own independent requirements in order to qualify. Visit the FAQ page for Opportunity Scholarships for quick answers to common questions. Apply to become an Scholarship Granting Organization today! 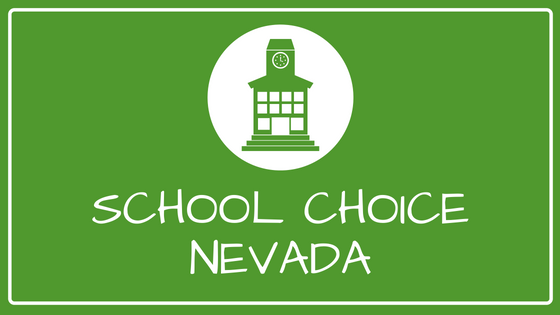 The Nevada State Legislature and Nevada Department of Education have come together providing businesses a tax credit opportunity while redirecting and controlling limited amounts of tax funds yearly in order to support the development of the Education Choice Scholarship Program. View the currently registered Scholarship Granting Organizations. Review state regulations and guidelines governing the Educational Choice Scholarship Program. Education choice program boosts per-pupil funding, while saving taxpayer dollars. In Opportunity Scholarships: A Win for Students and Taxpayers, NPRI Policy Analyst Daniel Honchariw reports that the Opportunity Scholarship program produces a net-savings to taxpayers, while simultaneously increasing per-pupil funding for traditional public schools. The savings are derived from the difference between the value of the average scholarship and per-pupil spending levels. The study shows that while the average scholarship costs taxpayers about $4,500 in foregone revenues, the state simultaneously foregoes the burden of educating a student at a cost of over $9,000 per year with each scholarship awarded. Questions about Nevada's Opportunity Scholarship program? Visit our F&Qs page to see frequently asked questions.